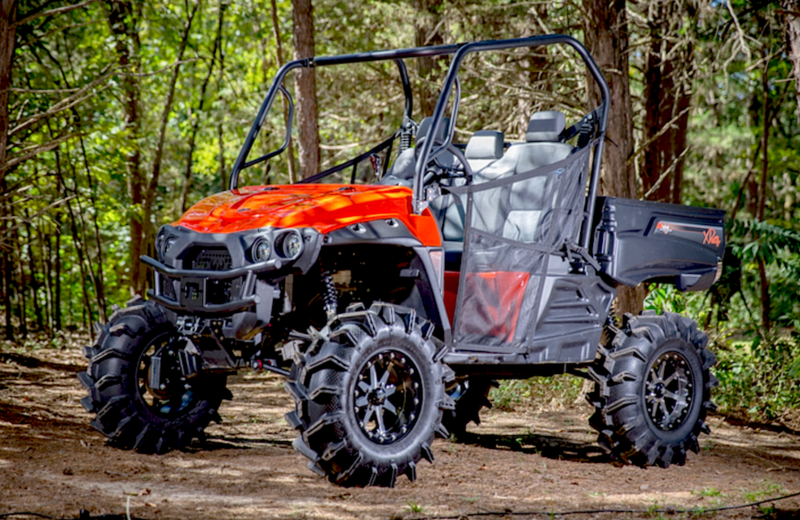 The Enforcer series is the higher performance option from Intimidator 4×4 Utility Vehicles. 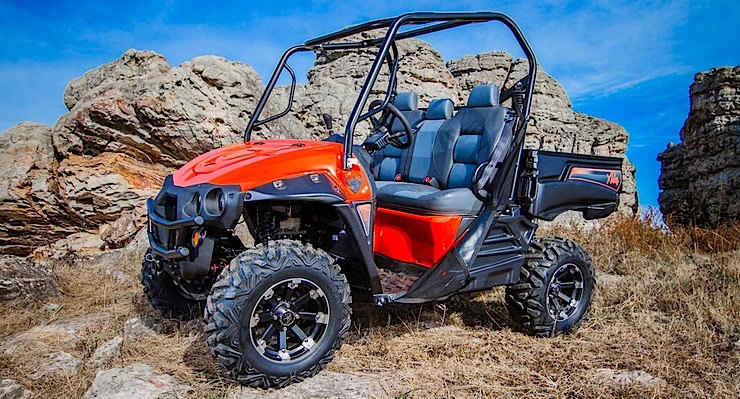 This UTV manufacturer has been gaining momentum over the past few years and they now provide you with another choice when shopping for a new machine. The company headquarters are located in Batesville, Arkansas and that’s where their UTVs are made. Their motto is to provide world class, American-made, utility 4x4s with unparalleled strength, power and performance while remaining affordable. 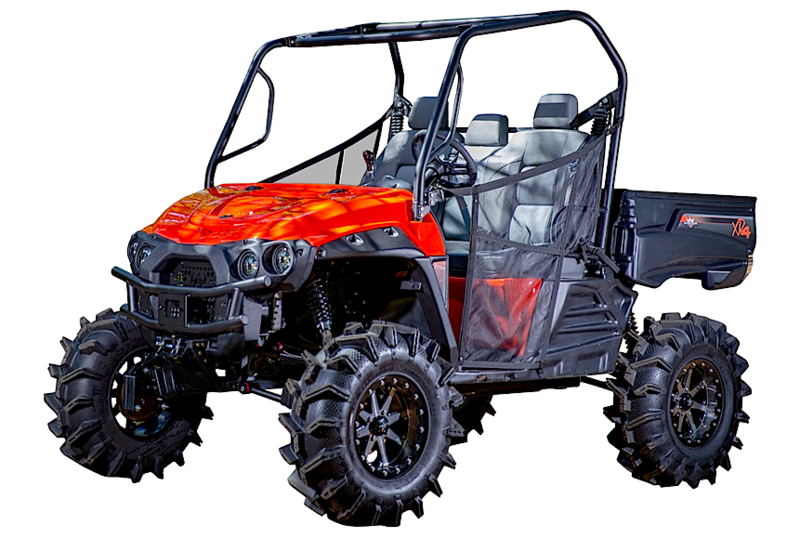 Intimidator has several different model UTVs starting at $12,099, but their Enforcer here is the one that caught our eye the most. It’s powered by a V-twin, 8-valve, 800cc motor with fuel-injection that makes 65 horsepower. It has CVT drive with a high and low range. The independent suspension is provided by dual A-arms front and back with 10 inches of travel from Elka shocks. Electric power steering comes standard. Intimidator made sure the Enforcer could handle mud with 32 inch Motoboss 6-ply tires mounted on 15 inch MSA beadlock wheels. They also gave it a 30% gear reduction and a 4 inch lift, providing 18 inches of ground clearance. The specs claim that the drive components are built extra heavy duty and that probably explains the 1,800 pound weight. The other measurements are: 72″ width, 117″ length, 83″ height, 78 inch wheelbase and 1000 pound bed capacity. The Enforcer has a 50 mph top speed and it sells for $21,449. Here is some of the workforce at the Intimidator factory in Batesville, Arkansas.